There’s March Madness. And then there’s Parking Madness. Our 2019 tournament starts today. This year is different. 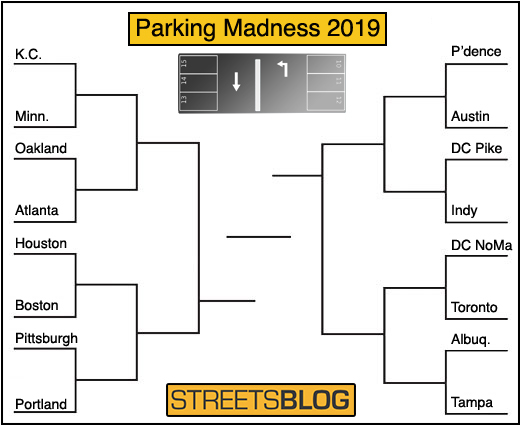 Rather than scoping all the saddest urban parking dead zones, we’re looking at the cities that have turned parking craters into beloved urban places. Let’s start with the first two of 16 pairs: two Midwestern downtowns that have come a long way. Yes, it’s Minneapolis vs. Kansas City. Carlyle tells us that this area is served by the Kansas City Streetcar, which is one of the better-performing local streetcars, and has helped enliven sidewalks and reduce parking pressure throughout the Paris of the Plains (as the Missouri side of town is known). 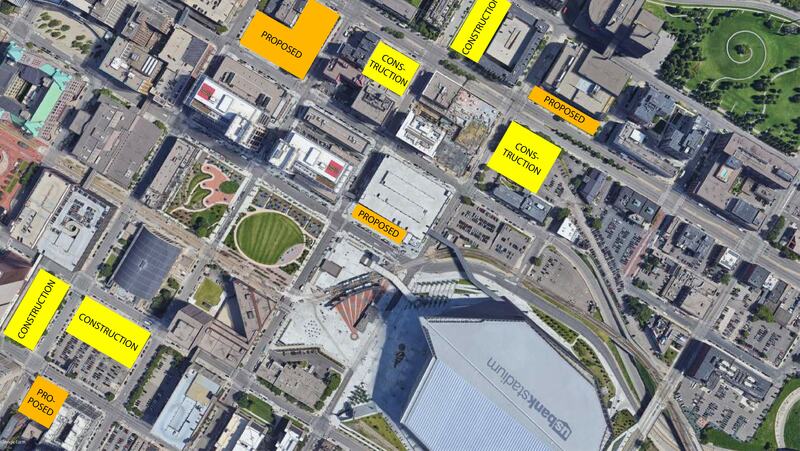 There’s still a few parking lots in the picture — but a few are slated for development as well, says Carlyle. 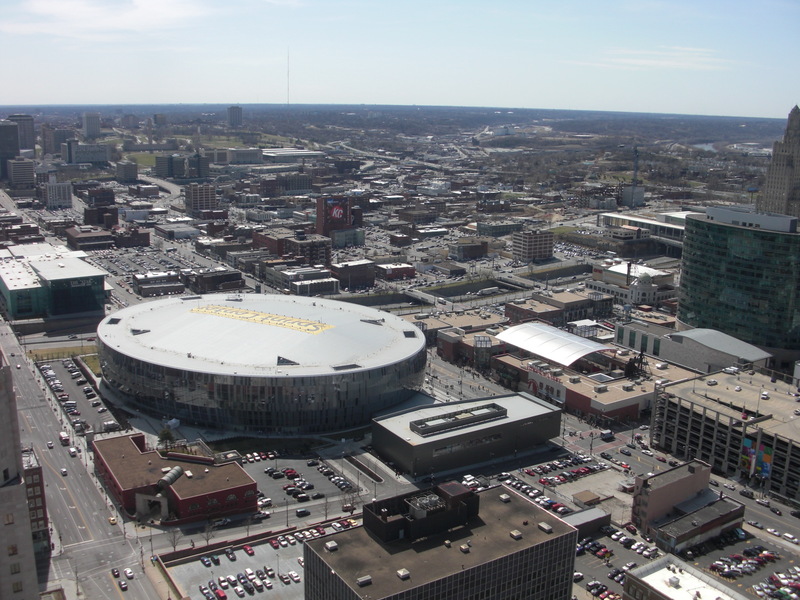 The arena pictured in the “after” shot is the Sprint Center, which does not host a sports team, and is mainly used for concerts and special events. Sometimes arena areas can be terrible parking craters. 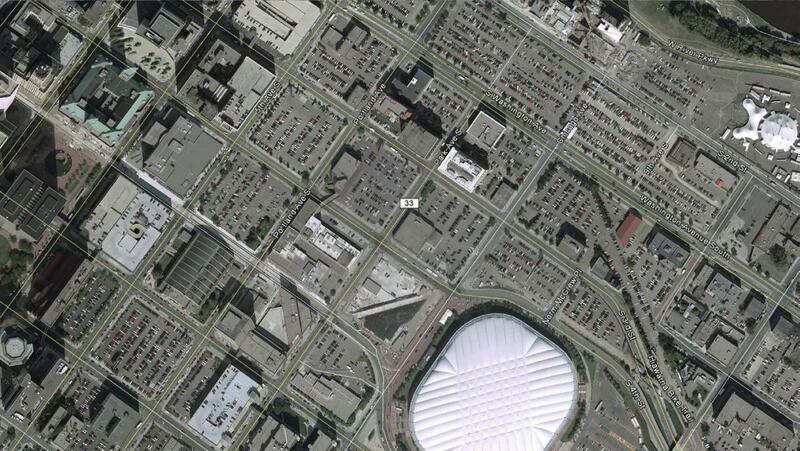 In this case, it seems to have helped fill in a parking crater. 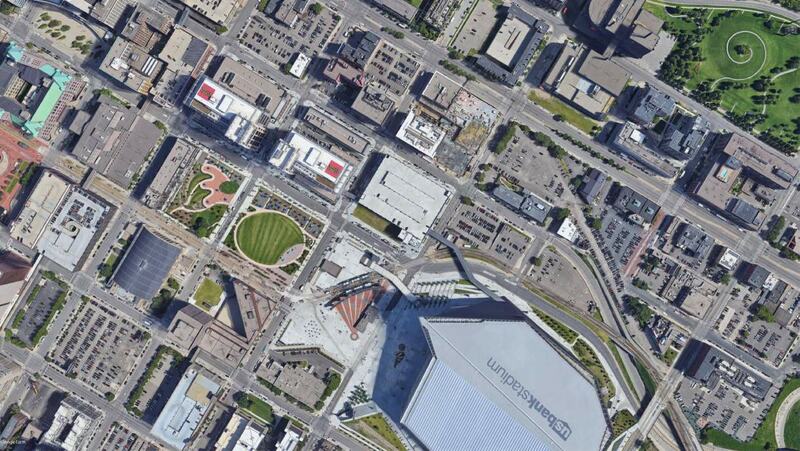 Alex Schieferdecker nominated this former parking crater in Minneapolis’s Downtown East neighborhood. Not too long ago, this was a moonscape of parking lots and one or two bars and a souvenir shop serving the moon kingdom itself, the Metrodome. 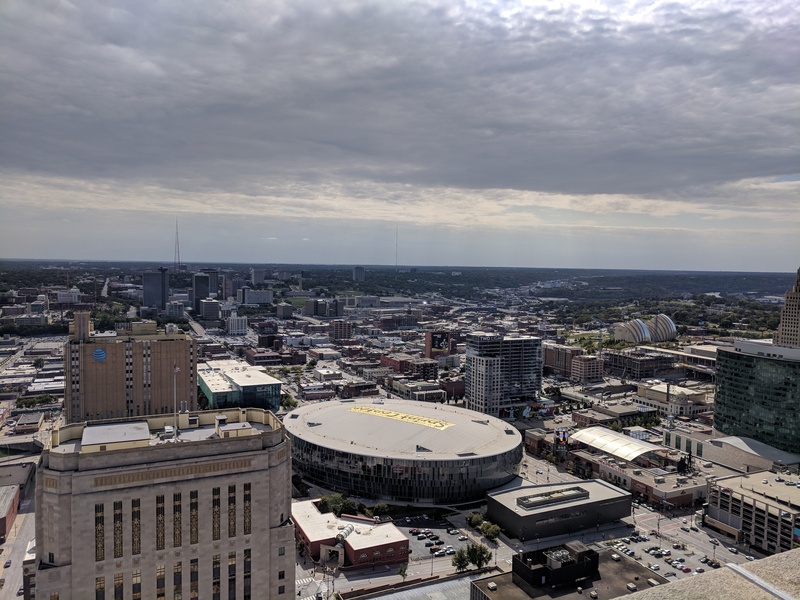 Now, it’s got a new stadium, new park, a new light rail connection through its existing station, new office buildings, new hotels, a Trader Joe’s, and a lot more residential, with even more on the way. Which deserves to go onto the second round? Vote below — polls close on Monday afternoon. Hey, how about including a link to Google Maps of the area? Having a look at street view would be cool. 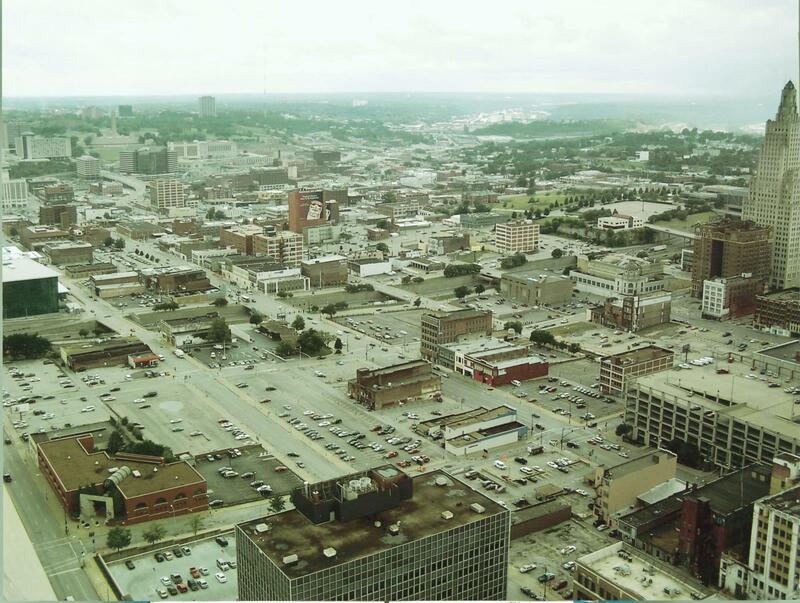 That “after” picture of Kansas City’s P&L district is already a decade old. The Kauffman Center was completed in 2011, and you can see construction has barely started in the background of the picture. Multiple high-rise apartment buildings and other major projects have gone up in this area since then. “Paris of the Plains”: I like this aspirational moniker. Though nobody could confuse the two cities it is encouraging to hear that the city strives to become a more vibrant, livable place. Though dense cities like Paris are often derided for being crowded and difficult to drive and park, they are nonetheless wonderful, desirable places to live. Um, that phrase is from a century ago and referred to nightlife and casinos. Readers didn’t submit the KC photos, this site found them and used them without asking. I should know. Good catch, because I was in KC this past summer, and after looking at that picture, i thought to myself “it’s a hell of a lot more built up than that”. Whole neighborhoods around downtown Houston and Boston's Seaport are rising out of asphalt. Sixteen awesome city spaces that have bloomed out of asphalt are going head to head in the next few weeks. See if your city made the cut. It's a contest between two smaller cities with downtowns that suffer from a deficit of "town" and an oversupply of asphalt.